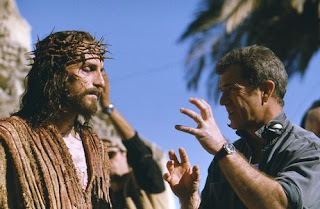 Mel Gibson does a great job depicting a real Messiah in his The Passion of the Christ. Gibson shows Jesus joking with his mother. 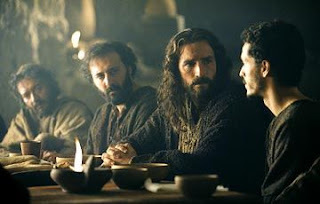 He spends time eating and drinking with his disciples. He feels happiness and pain. He is the son of Mary and Joseph as well as the Son of God. It is remarkable that Jesus was so candid about His role as the Savior of the world... but this makes a lot of sense if he was, in fact, the Savior of the world. If he was really the Messiah, then he shouldn't have to try very hard to act like it. He talked like one who knew where he came from and where he was going. In his prayer toward the end of John's gospel, for example, he addresses the Father candidly, expressing his desires for his followers and their future, spiritual success. I wonder if Jesus felt any anxiety about being God in the flesh during his 33 years on earth. He had the capacity to be stressed out, certainly... Luke records him sweating blood in anticipation to his violent crucifixion (Luke 22:44). Was it also stressful for him to be trapped within mortal constraints such as time and space? Did he ever grow impatient toward his disciples for their failure to adopt his heavenly perspective even after all those signs and miracles? Awesome post! King of Kings!